Venus is a rising 3-year old, light bay welsh section D, Appaloosa X filly. Her sire is from excellent stock, as is his own sire who has won several awards in multiple disciplines. 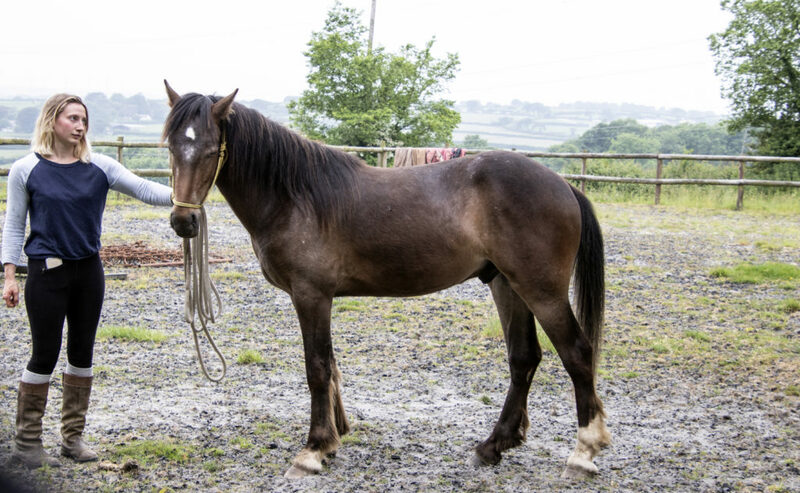 Venus is expected to make at least 15hh, has good conformation, a lovely face a good natured and should prove to be a good all-rounder. 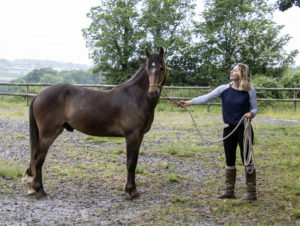 She’s halter trained and has been carefully handled by Freyja since birth, that should put her in good stead when she goes to her new home. She was born here in Launceston, North Cornwall, in April 2016. She’s looking for a forever home and should be ready to be lightly backed this Spring (2019). She is for sale for £ 995.00 ONO. Why not give Sarah a ring on 01566 781215 or 07740 639913 to arrange to come and see her, you won’t be disappointed. 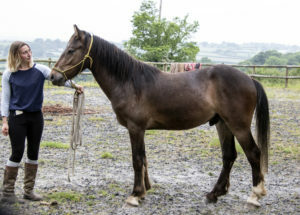 ORION – Born: April 2016 – Gelding – SOLD. An Appaloosa Colt from our Leopard Spot Stallion & Appaloosa Dam. Expected to make 14.2+ hh. For Sale @ £ 895.00 OVNO. 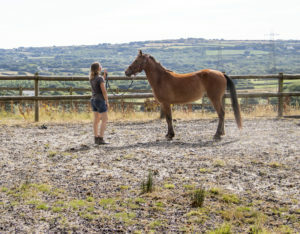 Orion is a handsome friendly gelding, to make 14.2+ hh. He has good conformation with natural uphill paces. Although a dark bay, he does have a few spots and may develop more as both parents are Appaloosas. One a Leopard Spot and the other a blanket spot. 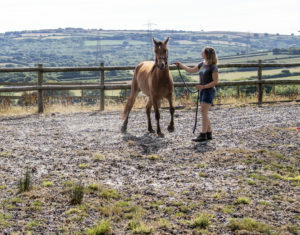 Orion is passported, head collar trained and ready to go to his forever home to bond with his new owners. 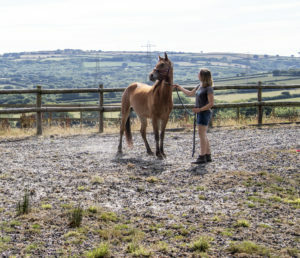 We only breed a few foals every year, but, we still have some yearlings and older young horses for sale. So, for more details please give us a call on 01566 781215. Photos taken June 2018. All rights reserved. 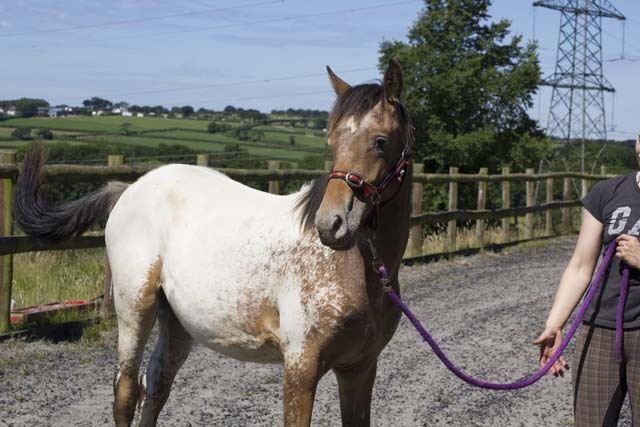 Leo, is one of our Appaloosa gelded yearlings. He was sired by our Appaloosa Stallion El-Dancing-Bear and from one of our Appaloosa Dams. 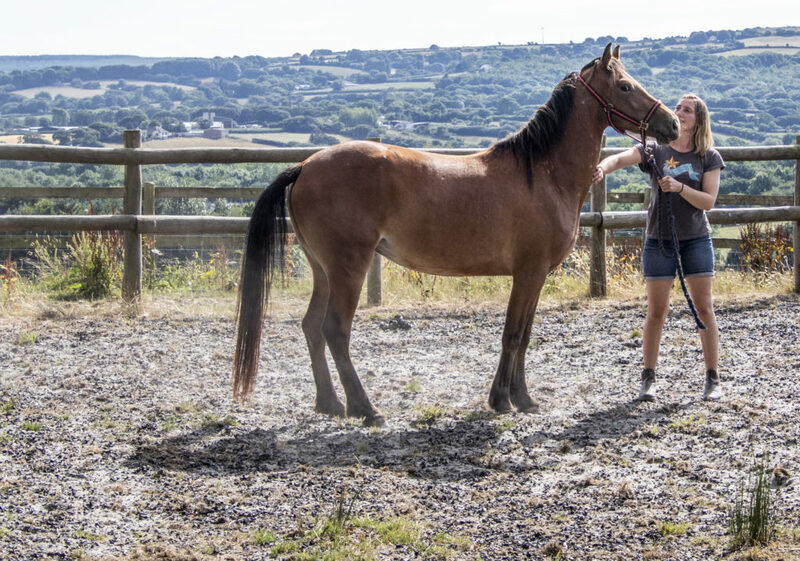 Leo is an affectionate gelding, born August 2016. 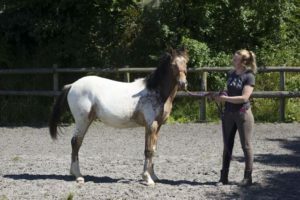 He’s a striking appaloosa from the well known Tyersal El-Cid bloodlines, with his sire being Tyersal El Dancing Bear, a very handsome leopard spot stallion, and his dam is a blanket spot. 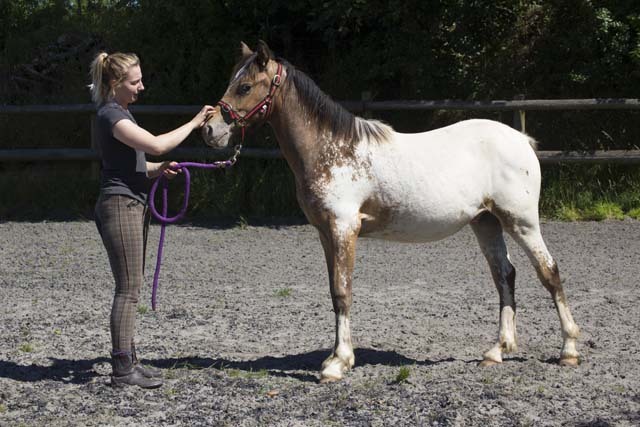 Leo has striking markings, good conformation and should make around 14.3hh. 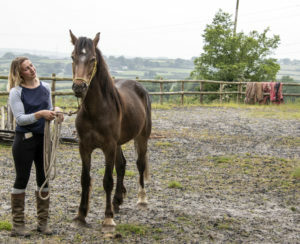 He’s head collar trained, passported and ready to go to his forever home. Please ring Sarah if you need anymore information and would like to arrange a viewing. Cherry Tree booked 26/7/19-01/08/19 7-nights (DB) D Clegg. Cherry Tree booked 7-nights 9-15/8/19 - A Thomas. Cherry Tree booked 7-nights 23-29/8/19 - J Cooper.